If you've ever thought about going on your first cruise, October is the time to begin that journey. 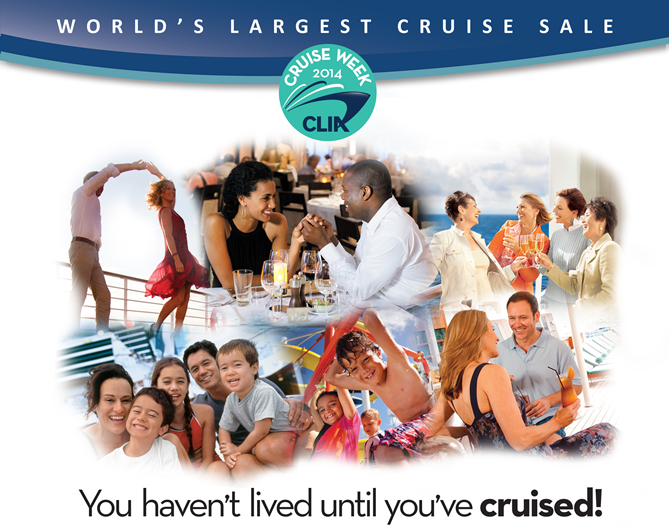 We're joining with member travel agencies from the Cruise Lines International Association (CLIA) across the US and Canada to host the Virtual National Cruise Vacation Week (NCVW) which is an opportunity for travelers like you to learn more about one of the most popular vacations: cruising! Cruising is all about you. You can find adventure, culture and education or, relax the day away. Dine on fine cuisine. Indulge at the spa. Reconnect with family. Share romantic moments. All this, in the destination of your choice, for a few days, a week or more, on a cruise that's right for you. 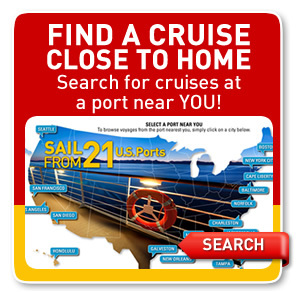 We have a special page with Cruise Line Videos for you to explore. 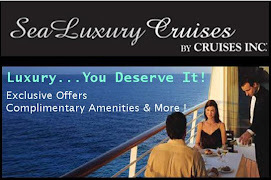 Just click the cruise line logo of your choice and watch their video. 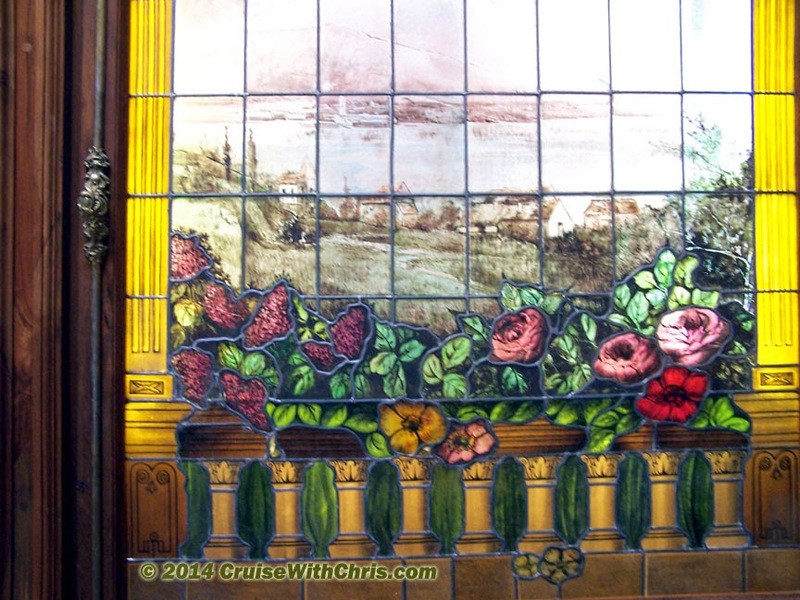 We'll also be featuring articles about cruising all month long in addition to our normal blog posts, so be sure to come back often to explore. There are special offers throughout the month. 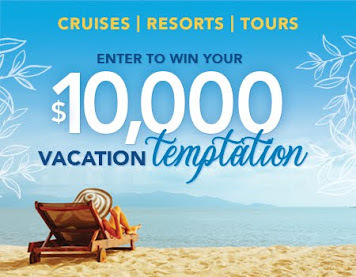 The highlight will be October 6-13, 2014 which is designated the National Cruise Vacation Week (NCVW). We will have a special page which lists the offers and other information. Sign up for our eNewsletter to get updates. and see what special deals they have to offer! 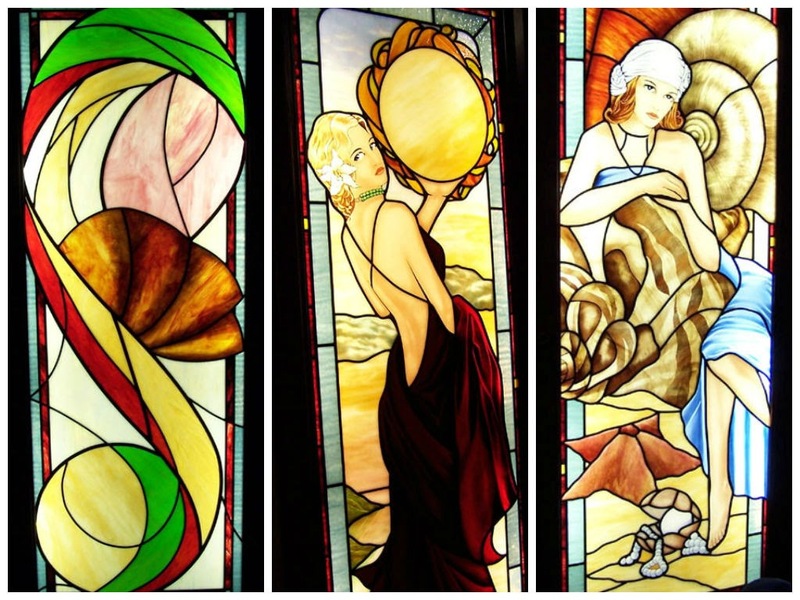 You can probably guess that the following stained glass works of art are inside a casino. But can you guess where? What is the least likely location in your mind? Do you give up? Go ahead take a guess (don't cheat). We started this series of articles in preparation for our guest co-host appearance last Friday on #FriFotos #greatINDOORS. If you aren't familiar with #FriFotos it is a weekly photo forum by @EpsteinTravels @TravelDesigned @CharlesYap. Theme is revealed every Tuesday 12pm ET. Every week in preparation for our participation, we search through our archives for a few images that meet that week's criteria. Some themes are hard, while others, like last week's #greatINDOORS provide a wealth of possibilities. This stained glass piece is actually built into the staircase that takes you from one level to another inside Casino Royale aboard Royal Caribbean's Jewel of the Seas. 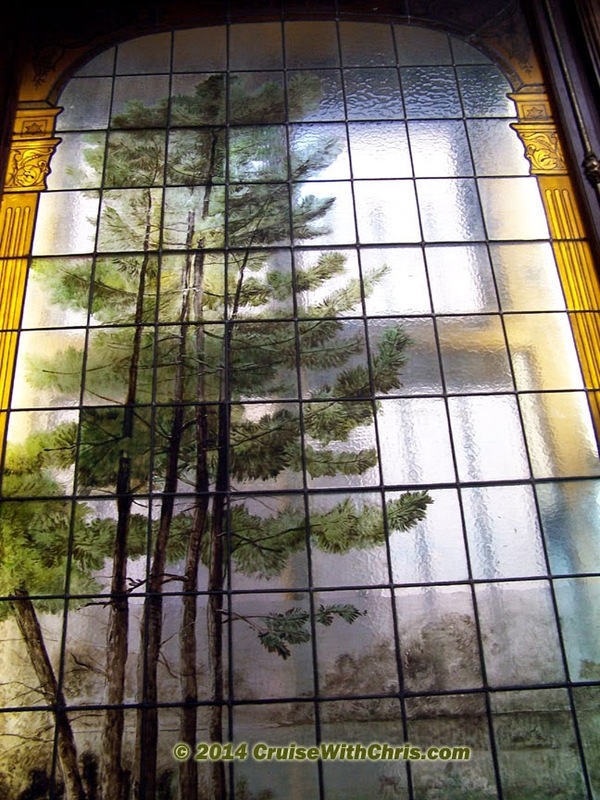 There are several more stained glass windows throughout the casino. We've posted several more examples on our Pinterest page, All Things Glass Around the Globe. 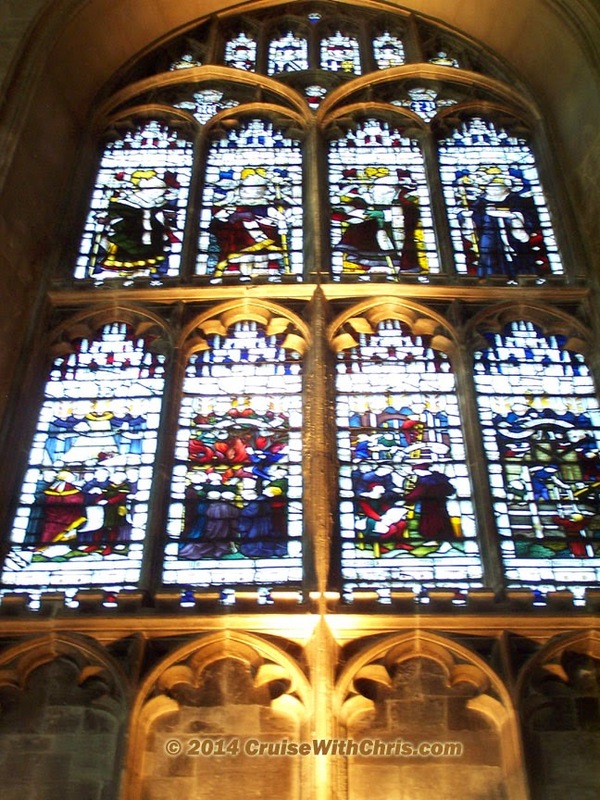 As the name implies, it won't be limited to images of stained glass windows. Anything made from glass, including glassware, chandeliers, and blown glass, will be pinned for your enjoyment. We welcome your feedback as well. 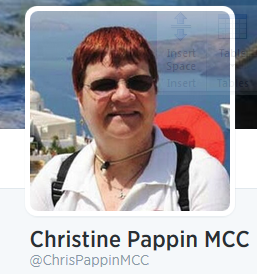 Follow us on Twitter: @ChrisPappinMCC Pinterest: CruiseWithChris Pappin and Facebook: CruiseWithChris Pappin Cruises Inc for more ideas. This week we had the distinct privilege of co-hosting the Twitter travel event #FriFotos. #FriFotos is a weekly photo forum by @EpsteinTravels @TravelDesigned @CharlesYap. Theme is revealed every Tuesday 12pm ET. As usual, we went through our photo archives preparing the the big day, where we get to share some of our images taken during our travels. 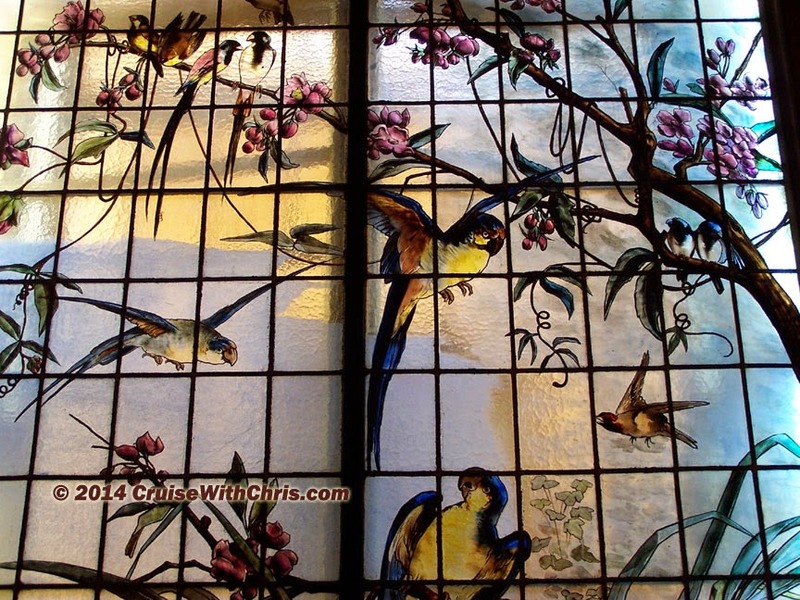 A subset of those images contained images of #stainedglass windows from places across the globe. (Click on any of these images for a closer look). We've already posted articles with a sampling of images captured during our visit to Yusupov's Palace in St. Petersburg, Russia and also Canterbury Cathedral in England. You'll admit that those are well known destinations. In this article, we go off the beaten path. One of the less known attractions in Amsterdam is Museum Willet-Holthuysen a canal house at Herengracht 605 which has been turned into a museum. The museum houses the extraordinary art and craft collection collected by Abraham Willet (1825-1888). The exhibitions include ceramics, glassware, silver, furniture, expensive trinkets, paintings, prints, drawings and photographs. 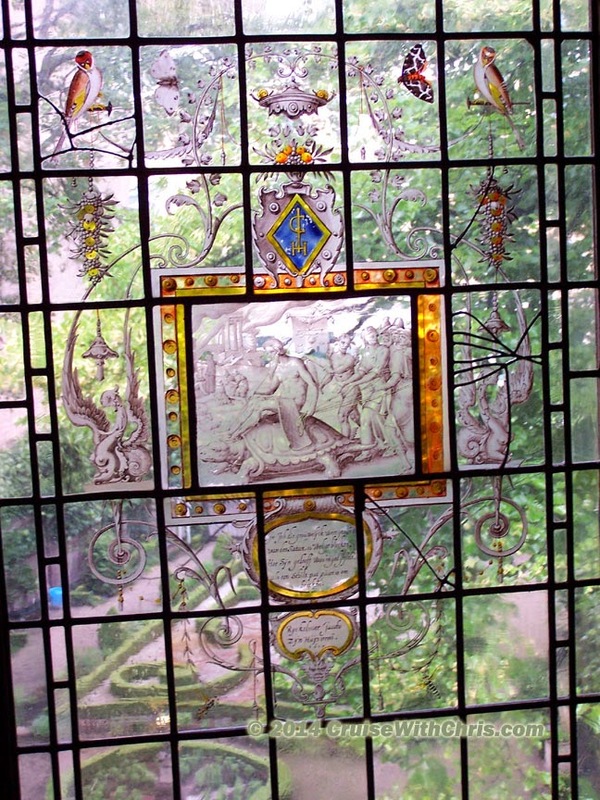 The garden, which can be seen through the stained glass windows, was laid out as an early 18th-century city garden in the French style. According to their website, they are not certain how the garden looked when the family was in residence. 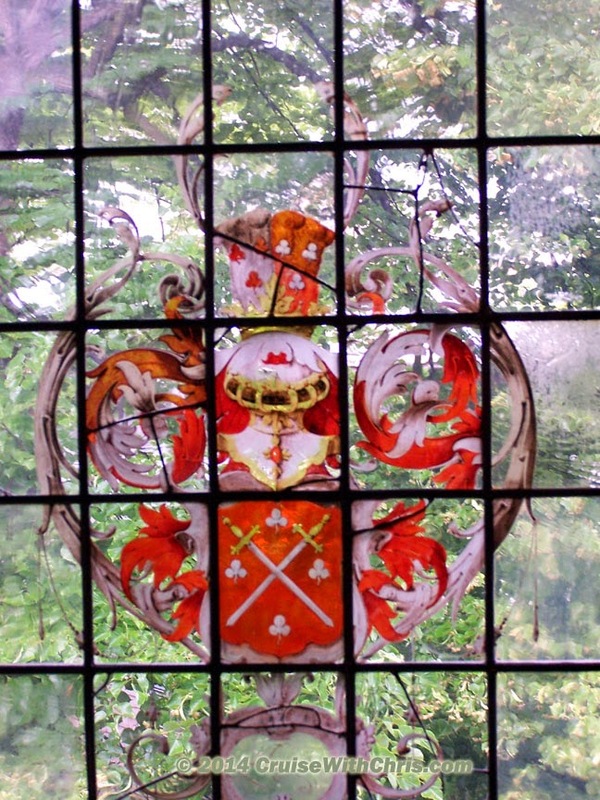 We have several more images of the stained glass, including some more close-up images. Thanks to the inspiration from #FriFotos, we have just started a Pinterest page, where we'll add more images like these from all across the globe. 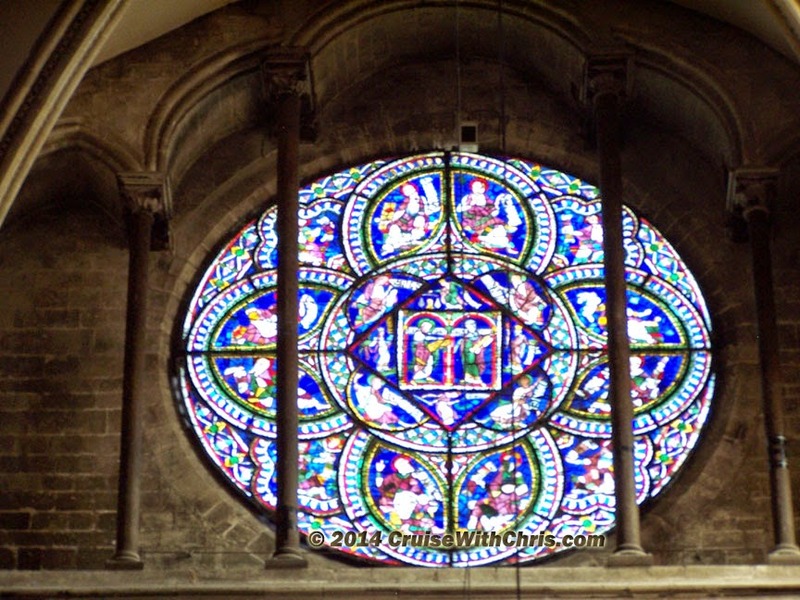 As the name implies, it won't be limited to images of stained glass windows. Anything made from glass, including glassware, chandeliers, and blown glass, will be pinned for your enjoyment. We welcome your feedback as well. 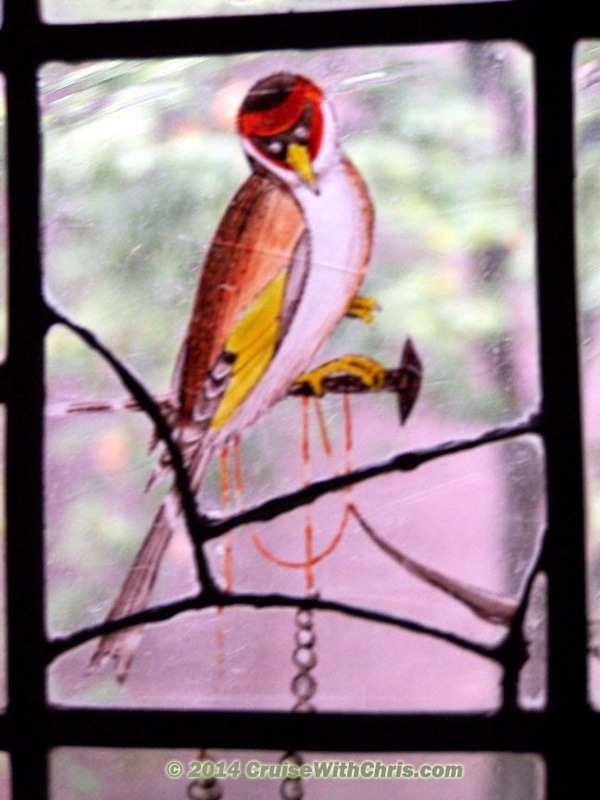 In conjunction with co-hosting this week's edition of #FriFotos on Twitter, we've been on the hunt for images of #stainedglass to share. 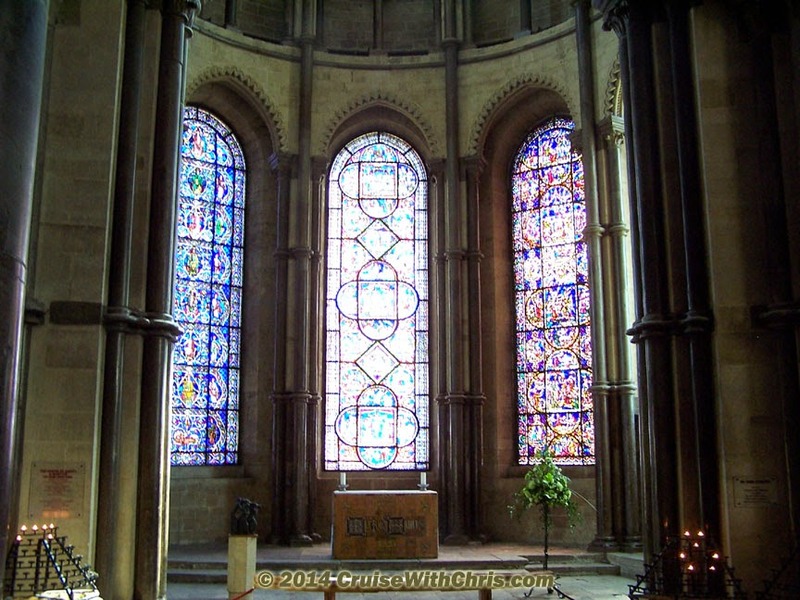 Our next stop is Canterbury Cathedral in England. It is the Mother Church of the worldwide Anglican Communion and seat of the Archbishop of Canterbury. The Cathedral is both a holy place and part of a World Heritage Site. This week's Twitter #FriFotos theme is #greatINDOORS. #FriFotos is a weekly photo forum by @EpsteinTravels @TravelDesigned @CharlesYap. Theme is revealed every Tuesday 12pm ET. We are very excited to be guest Co-Hosts this week. As avid followers and participants in this weekly photo adventure, we have enjoyed countless hours searching through our photo archives for those perfect representatives that demonstrate the given theme. Equally exciting has been exploring the images of our fellow contributors. We have virtually traveled around the globe and anxiously await each Friday's image collection. YOU should participate. It's easy - just tweet your images on Friday (any time / in your time zone - across all time zones if you like). Simply add a description and include #FriFotos #greatINDOORS. See all the rules here. 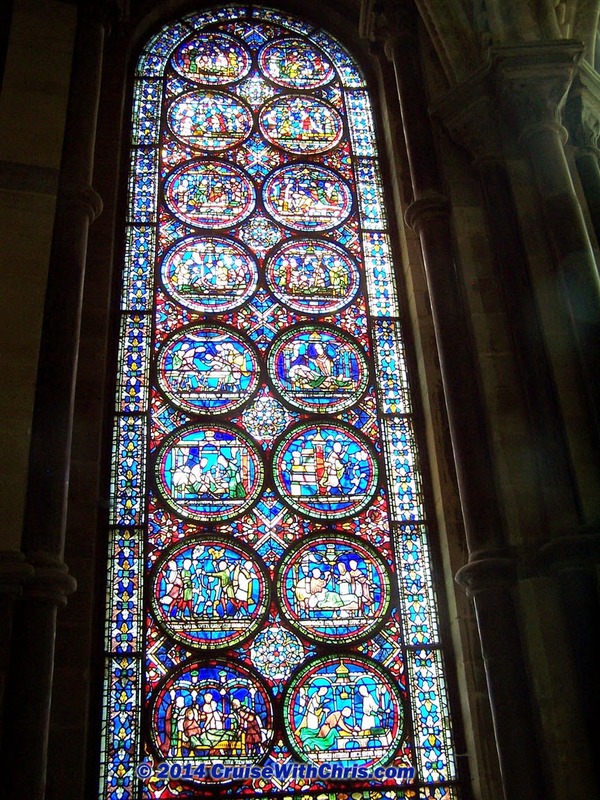 There are some rather unique stained glass windows inside Canterbury Cathedral. Here are just a few of the windows you'll see there. Plan on spending several hours exploring the interior of the cathedral. 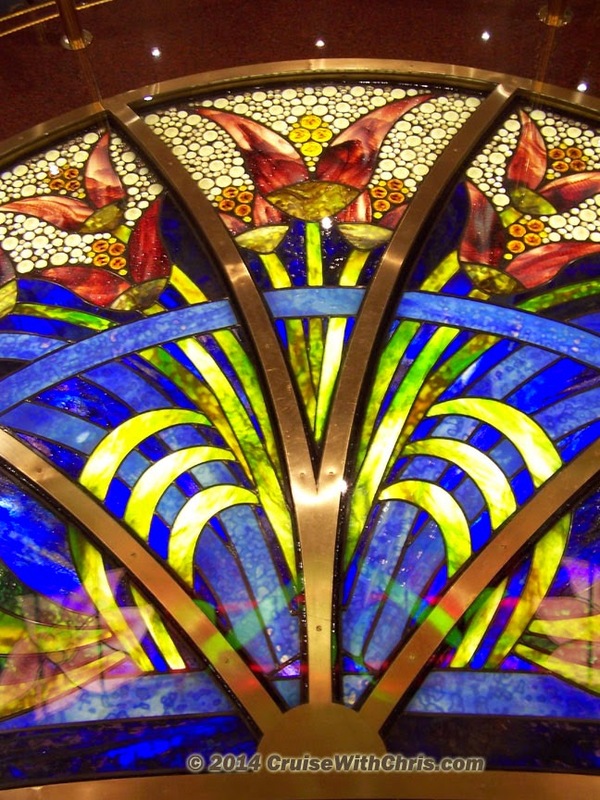 We are just getting started with our #stainedglass tour across the globe. Where we we be in our next post? Follow us on Twitter and here on our Blog to find out. Our first stop is Yusupov's Palace in St. Petersburg, Russia. The palace was once the residence of the wealthy and respected Yusupov family and which saw one of the most dramatic episodes in Russia's history - the murder of Grigory Rasputin. Where will our #greatINDOORS adventure take us next? Visit us again to find out. Look at your travel pictures from a recent trip. Divide them into two categories: pictures taken outside (landscapes, buildings, people at work and play) and secondly, those taken indoors (hotel rooms, airports, cruise ship interiors, train stations, museums, furniture, paintings, chandeliers). Have you taken more images inside or outside? If you are like most travelers, you probably have more images outside. There's nothing wrong with that - just an interesting theory on my part. We have two challenges for you if you are willing participants. YOU should participate. It's easy - just tweet your images on Friday (any time / in your time zone - across all time zones if you like). Simply add a description and include #FriFotos #greatINDOORS. See all the rules here. If you've gone through your images, from one or more recent trips, and find few images captured INDOORS, why not consider adding a few more #greatINDOORS images during your next trip? Have a Plan: Just as a football coach and the team review footage, statistics, and other information prior to game day, we like to research each destination in advance of our visit. If you have a travel professional, they can help you identify local attractions of interest. 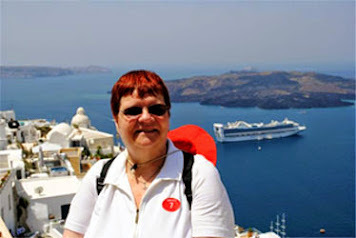 You can always search on the internet, including #FriFotos for ideas. Having a plan helps to assure you will have a photo journal that you can share with family, friends, and even the larger online community. 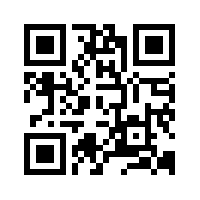 We like to pay it forward by sharing our images online. During a Baltic cruise, we spent two complete days in St. Petersburg, Russia where we explored many of the main attractions. 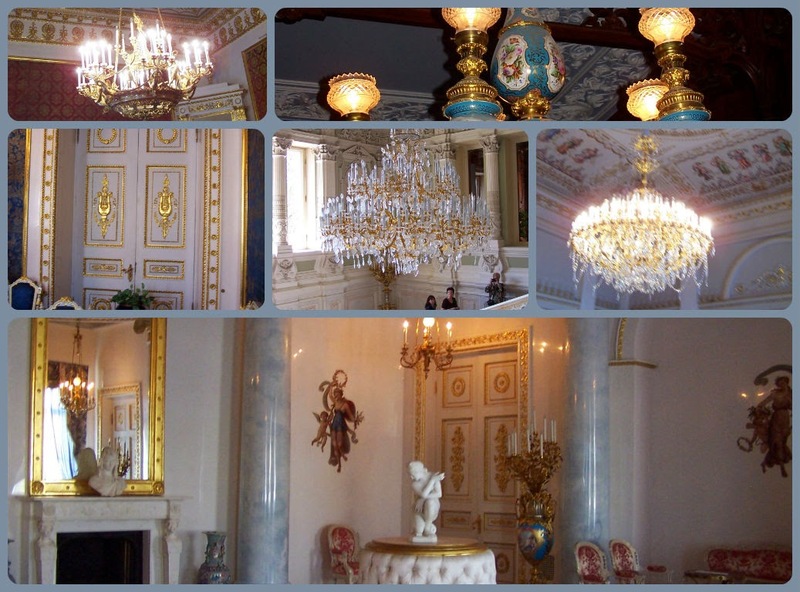 These images were captured INDOORS at Yusupov's Palace. It was built by one of the richest families of Russia during Tsarist times and is one of the most amazing buildings in all the world. Truly this is an excellent example of the #greatINDOORS. Crystal Chandeliers, tapestries, exquisite furniture, and art are amongst the items you will see on your guided tour of Yusupov's Palace. The guides speak excellent English and share background information which will enhance your visit. Join me Friday along with my other co-hosts for a fantastic journey indoors from sea to shining sea. We'd love to see some of YOUR images as well, so help me make this one of the most successful #FriFotos themes by participating. 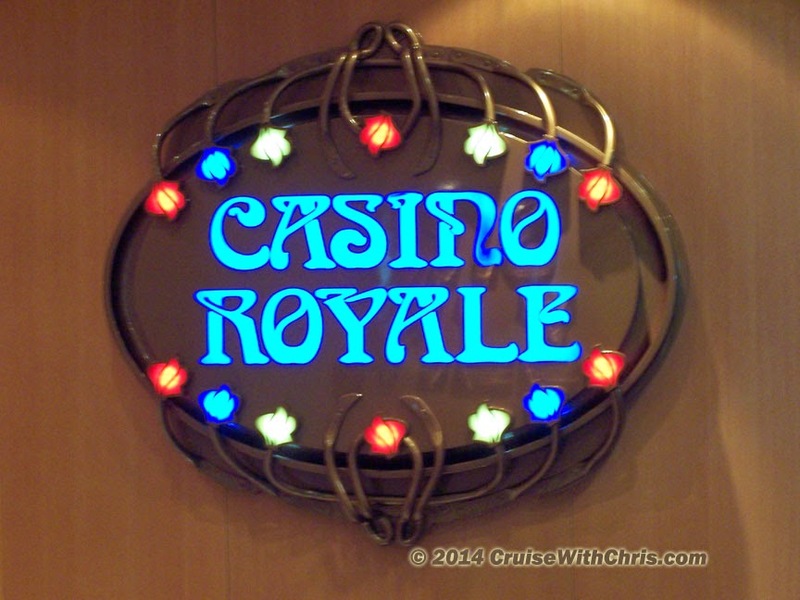 Not Sailed on Carnival Breeze? Once you get on board the ship money is no longer needed so you can tuck your wallet and other valuables in your room safe. 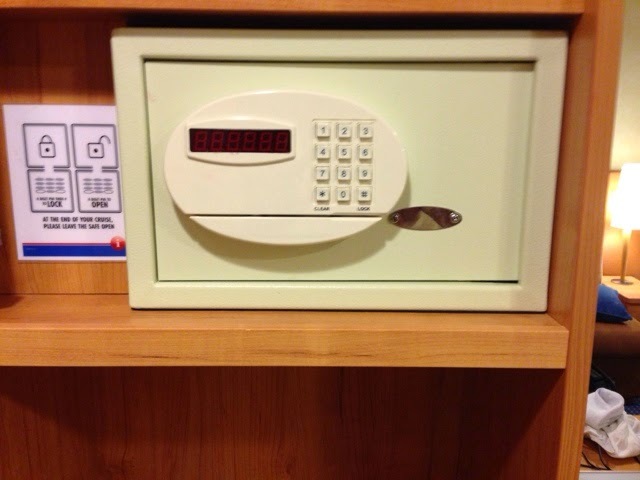 Select a four digit code to lock the safe. Modern ships are designed with energy conservation in mind. In order for the lights to operate you need to insert your Sail 'n Sign card, or other card, into the slot. When you remove the card, lights stay on for a bit allowing you to get out the cabin door before they go off. When you are sleeping, just as in a hotel, you can hang a "Snoozin" sign on your door so that noone disturbs you. 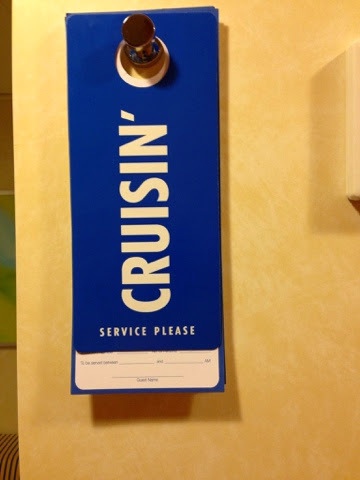 Time to head off for breakfast... Just put the "Cruisin'" sign on your cabin door so that your steward knows you are out of the cabin. By the time you return from breakfast your bed will be made and new towels hung in the bathroom. The Temperature is Just Right ! Each cabin's temperature is individually controlled by the guests. 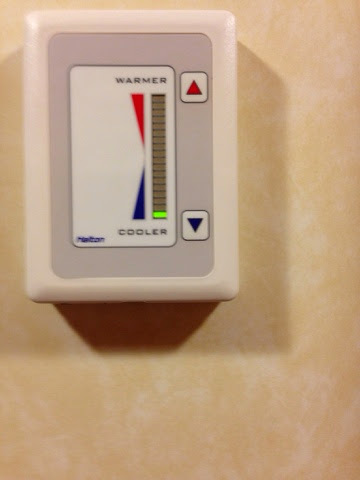 Next to the bathroom door, you'll find the temperature controls. They are simple to operate just press the arrow in the direction you wan the temperature to go. The green LED light shows the current setting. 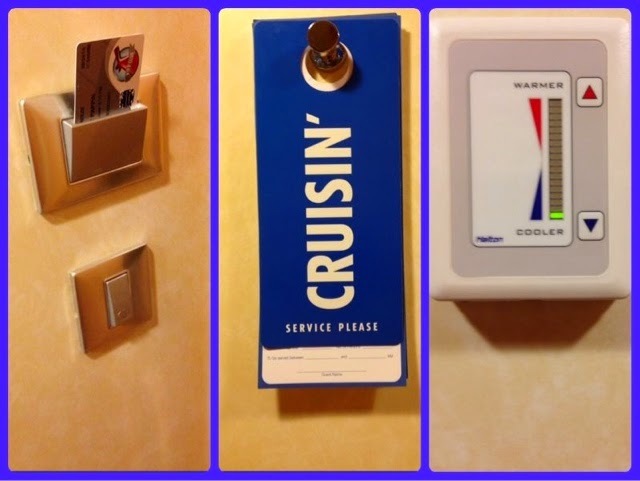 If you've not sailed on Carnival before, you might look at the shower controls and say - now what do I do. You'll notice there are two nobs on either end. There's also a warning sign that says to be sure to test the water to avoid scalding. It goes on to say, make sure water temperature is set to 38 degrees. The right-hand knob has a line which you need to line up with 38. I suggest taking the shower head from it's holder and turning on the left knob. Check the temperature and then put the shower head back in the holder. 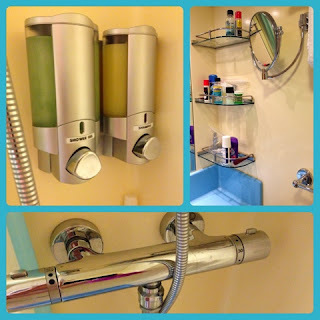 Instead of small bottles of shampoo and bath gel, the shower has a built-in dispenser of the two liquids. There is also a place to hold a bar of soap or any other bottle you might have brought to use instead of the ones supplied. There are several shelves on both sides of the sink for you to place your various toiletries. Since we only brought carry-on bags for our cruise, you'll notice several 3 oz. size bottles in our image. The mirror is a nice touch to get a close-up of your face (eg. when shaving). There is an outlet that can only be used by a shaver, if you don't have a rechargeable shaver. There are two 110v outlets and one 220v outlet over the desk / storage unit in the cabin. 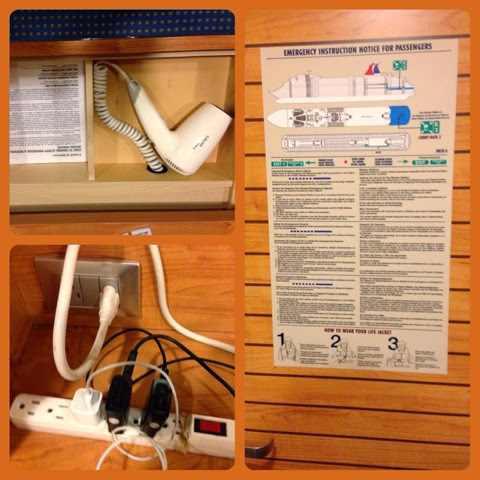 We bring a small power strip which makes it easier when you need to charge all your tech gadgets at one time. Just be sure that you don't overload the circuit or you'll have someone knocking on your cabin door and probably confiscating anything that is not allowed. There are certain devices which you should never bring with you. They include things like irons, hair-curlers, and anything with an open flame (eg. candles). Refer to your cruise documents or Carnival website for details. How many times have you entered a hotel room and gone on a hunt for a hair dryer? You'd have to go on the same hunt here unless you were clued in on the secret in this article. The top drawer of your storage unit pulls out and has a compartment for the hair dryer. This means you need to dry your hair outside the bathroom, which shouldn't be an issue since you are provided with robes. Finally, on the back of the cabin door is the safety information, just like you would find in a hotel room. Be sure to familiarize everyone in the family with the safety information and do attend the mandatory safety drill. The ship is required to complete the drill within 24 hours of sailing, but usually this happens before departure (just like on an airplane). 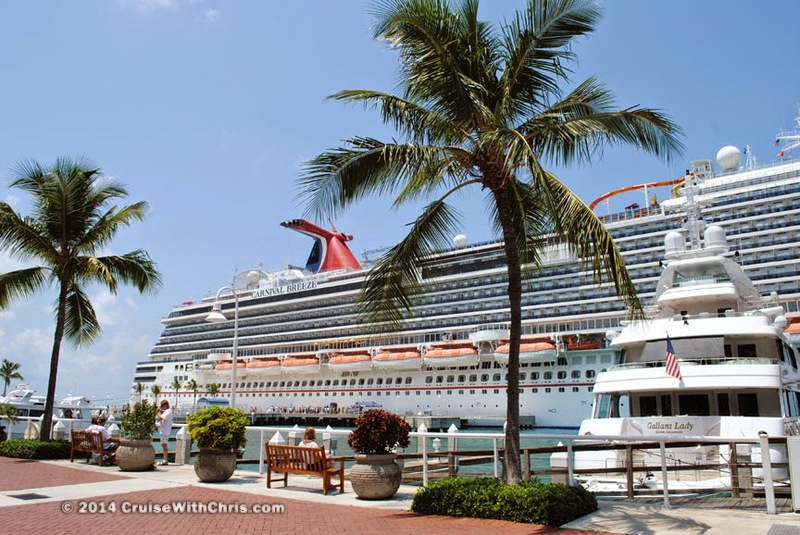 We've focused on Carnival Breeze in this article because we just completed a seminar at sea on her. 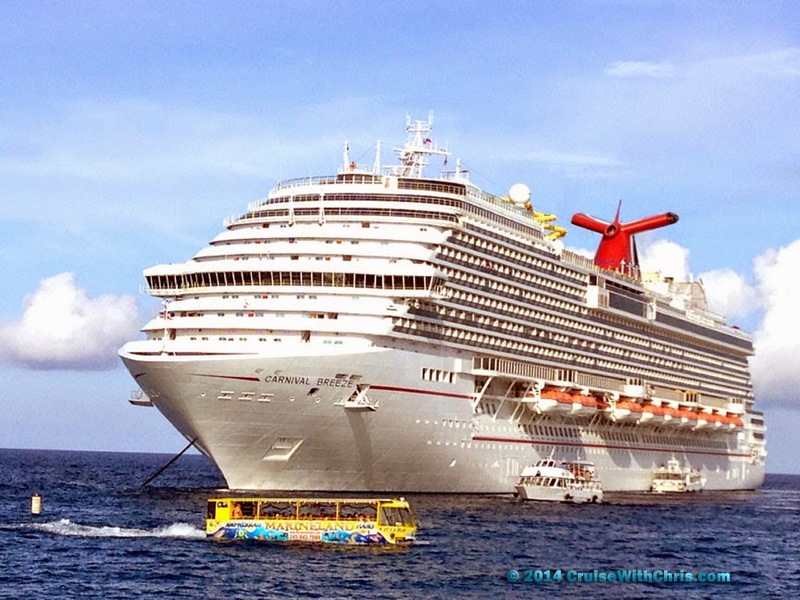 Most of the ships in the Carnival fleet are setup similarly. There might be variations in the safe and hair-dryer on some of the older ships as the models have changed over time. We'll touch on a few more pointers in other articles. In the meantime, if you have a specific question and can't wait, do leave us a comment or contact us by clicking above. By a joint resolution approved December 18, 2001 (Public Law 107-89), the Congress has designated September 11 of each year as “Patriot Day,” and by Public Law 111-13, approved April 21, 2009, the Congress has requested the observance of September 11 as an annually recognized “National Day of Service and Remembrance”. President Obama officially proclaimed September 11, 2014, as Patriot Day. In his remarks, the President said "America will never forget the September tragedy that shook our Nation's core 13 years ago. On a day that began like so many others, a clear blue sky was pierced by billowing black smoke as a wave of grief crashed over us. But in one of our darkest moments, we summoned strength and courage, and out of horrible devastation emerged the best of our humanity. On this solemn anniversary, we pause in remembrance, in reflection, and once again in unity." 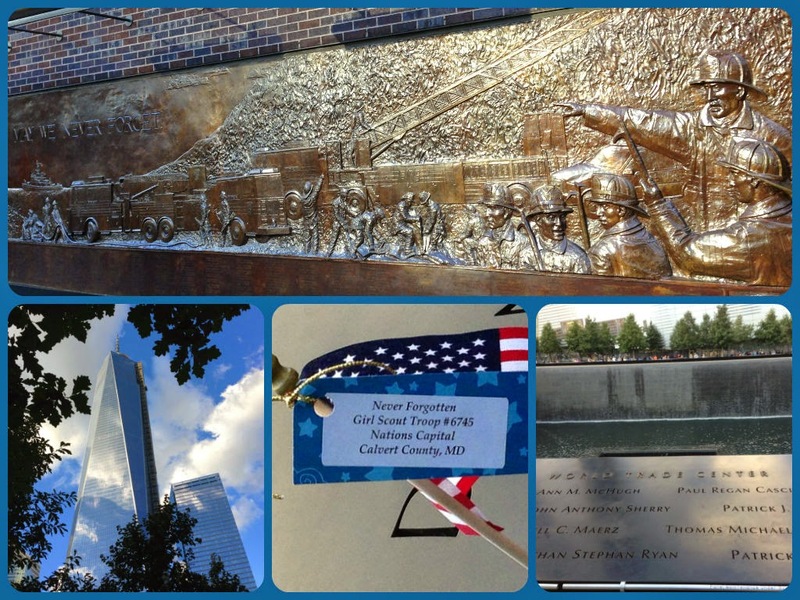 During our pre-conference stay in New York last year, we decided to revisit the site of the World Trade Center. The site was quite different from the last time we were there. Rebuilding of the towers was moving along nicely. The 9/11 Memorial fountains had been completed. Click on the link above to view the album. Each year we recall where we were when learning about the terrorist attacks. We were on the inaugural voyage of Norwegian Sun, thousands of miles from home in Paris, France. Our tour bus was filled with our fellow passengers, the majority of whom lived in New York. The transatlantic cruise, we were on, was originally scheduled to conclude in New York but ended in Boston instead. What was to have been a celebration of our 25th Anniversary, quickly became a very unique experience as we observed the hospitality and caring from so many people across the globe as our journey home continued. See our article from 2011, FDNY May We Never Forget, on the 10th anniversary, as we recalled our journey back to New York to visit the site of the World Trade Center attacks. Should your cruise vacation plans include New York, we recommend spending some time at the WTC Memorial and other historic sites in the city. 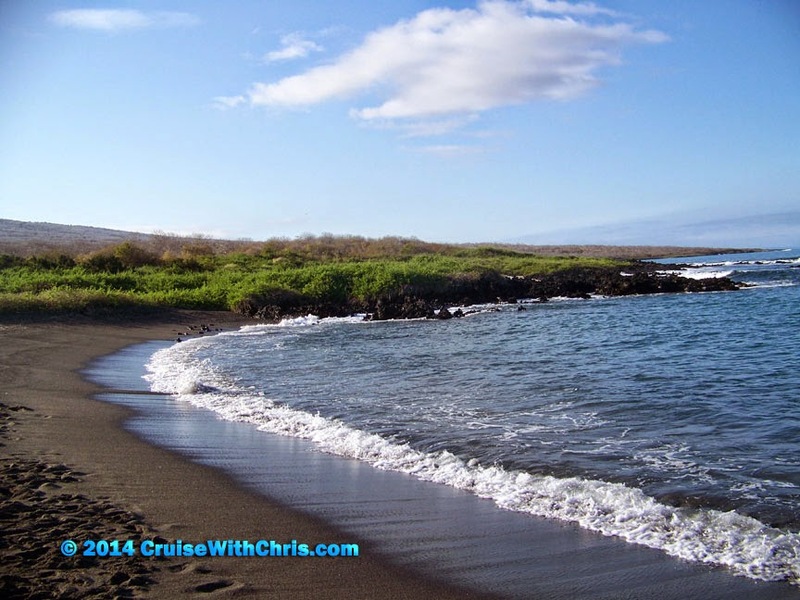 #FriFotos is a weekly photo forum by @EpsteinTravels @TravelDesigned @CharlesYap. Theme is revealed every Tues 12pm ET. Participants from all over the globe share their personal images with the audience. Here are some that we shared this week, we hope you enjoy this mini journey across the globe. 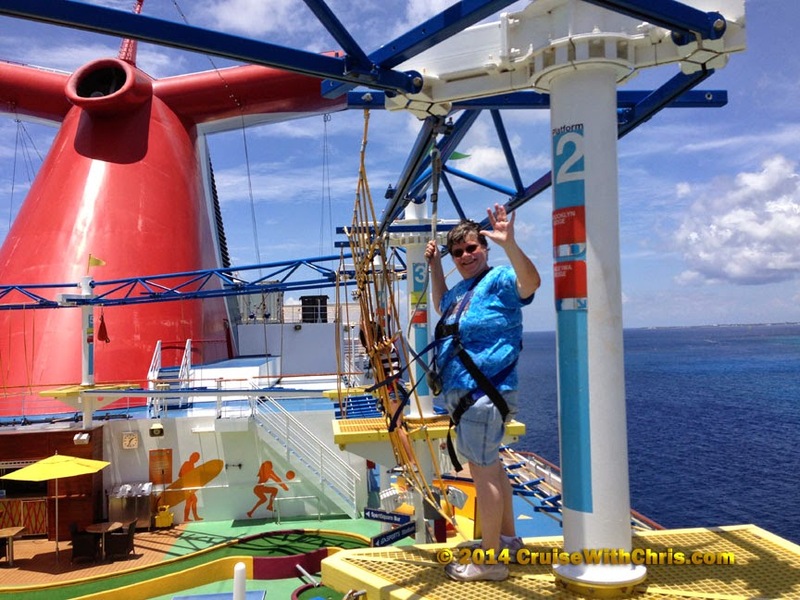 The image above was taken last week on Carnival Breeze at the Water Works slide. I'm not sure if it was the orange color that drew me to the challenge, but I just had to try out this water slide. It was great! 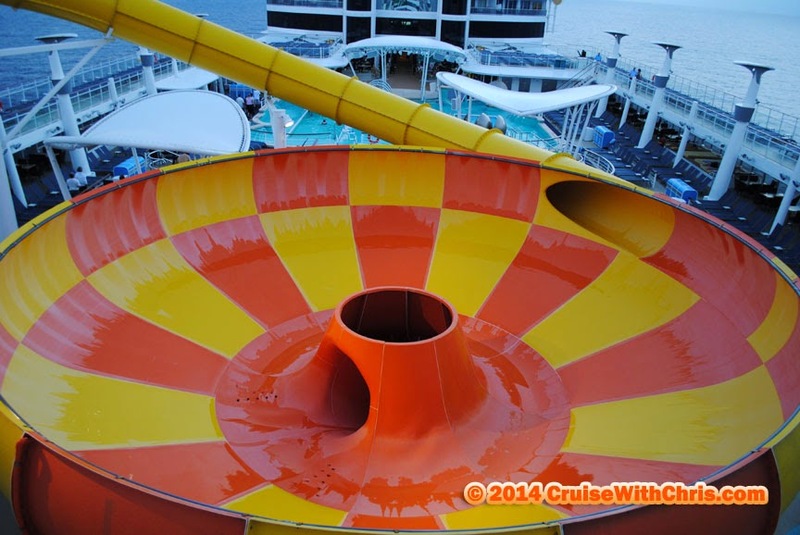 Another water slide entry is this one from Norwegian Cruise Line's Epic ship. After sliding thru the enclosed tube, you find yourself dumped into the orange and yellow bowl. Once again, this was a lot of fun. BTW, did I mention that I can't swim? 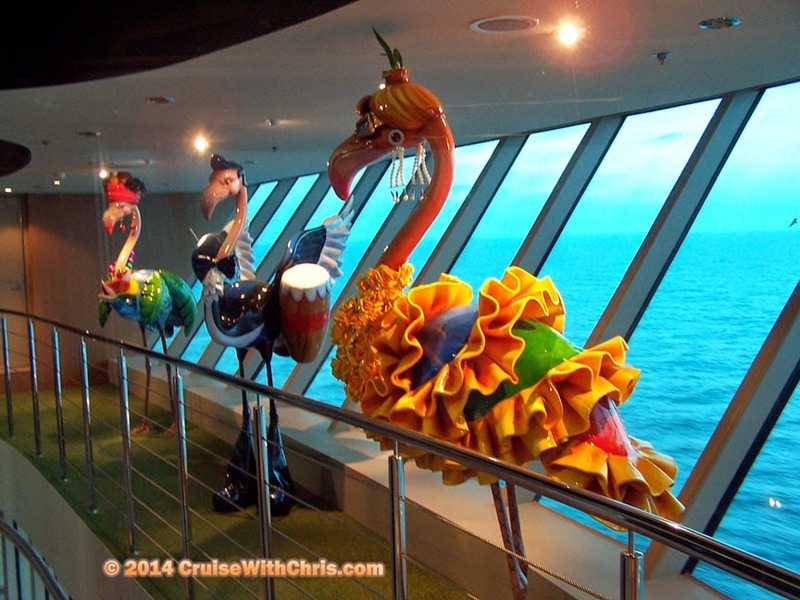 Cruise lines invest a lot of money in interesting art which you can explore during your cruise. 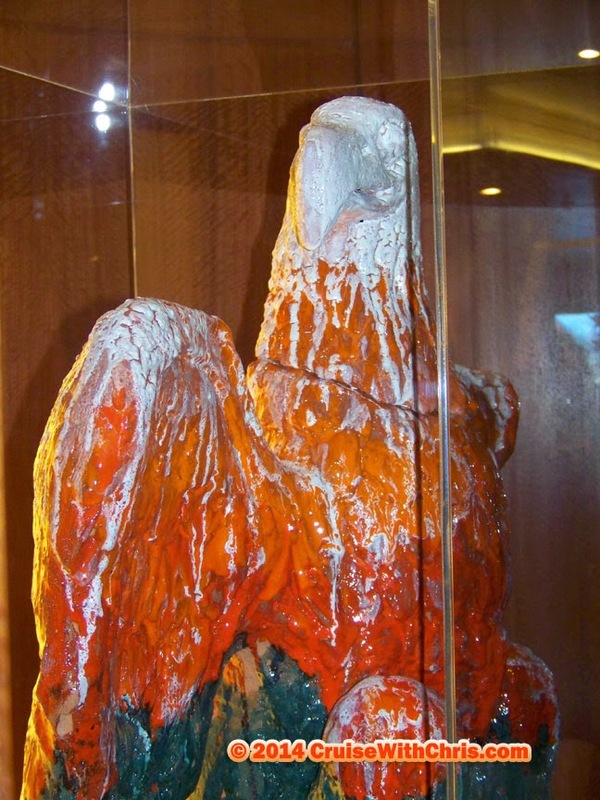 This eagle, which has its fair share of orange, was sited on Celebrity Cruise's Mercury. In this other image, taken on Royal Caribbean's Jewel of the Seas, someone brought their imagination to life on the ship. Not pictured here, but can be seen on our Twitter profile, are images of life boats, life preservers, and more art which you can find on a cruise vacation. Not all the color in the world is man-made. 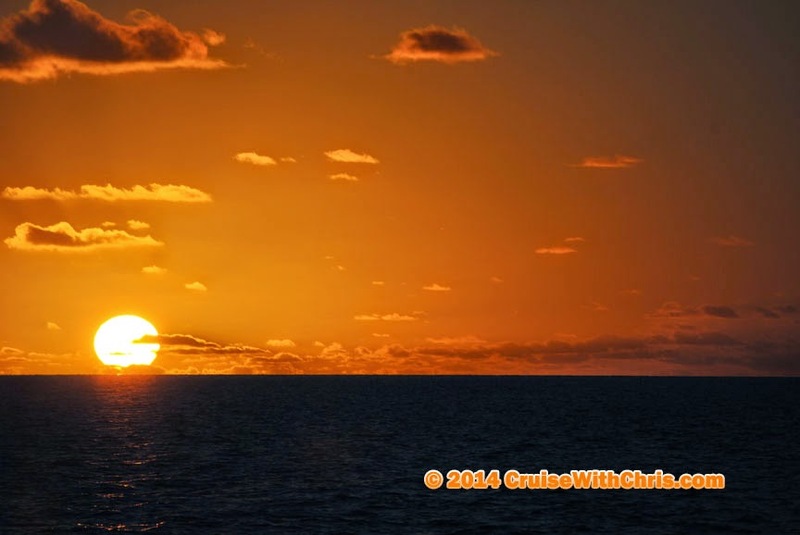 There is nothing more beautiful than a gorgeous sunset at sea. As the sun sinks slowly into the water, the sky comes alive with shades of red, orange, and yellow. 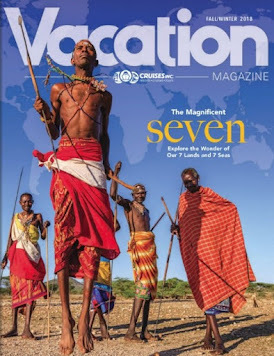 Images like these can be yours when you explore the world by cruise ship. We suggest giving yourself a photo assignment to seek out more images where the world has been painted with orange. Follow us on Twitter: @ChrisPappinMCC Pinterest: CruiseWithChris Pappin and Facebook: CruiseWithChris Pappin Cruises Inc for more images from around the globe. Norwegian Cruise Line published a press release on Tuesday announcing that it has entered into a definitive agreement to acquire Prestige Cruises International, Inc, parent company of Oceania Cruises and Regent Seven Seas Cruises, in cash and stock for a total transaction consideration of $3.025 billion, including the assumption of debt. Following the announcement, they also had several meetings with investors, media, and their travel partners to discuss the transaction in further detail. What does this mean to you as a cruise enthusiast? It is important to note that both company's senior management forged relationships during the courtship, prior to this transaction being entered, and sought to understand the philosophies that drove each individual company. As stated by Norwegian's CEO, Kevin Sheehan, these distinct brands serve different market segments and have loyal followings. It is critical that the brand cultures don't change and that guest experiences are preserved. The actual consummation of the deal will not occur until some time later this year, most likely in Q4 2014. Until then, customers and travel partners should expect "business as usual". If you are really interested, all the legal-ESE can be found in the actual press release. In the industry briefing, it was clear that both companies had taken this merger seriously and done their due diligence. This was "day one" and too early to answer many questions that were lurking in people's minds, but assurances were given that in due time there would be answers. After the deal becomes official, there may be some changes as one might expect. Indications were that both companies have some best practices and that the intention was to learn from each other. Prestige for example has already merged two companies, Regent and Oceania, so some of those past experiences will come in handy with this new entity. Customers and travel partners should benefit in the long run from the merger. There is a definite life-cycle that cruise guests follow. 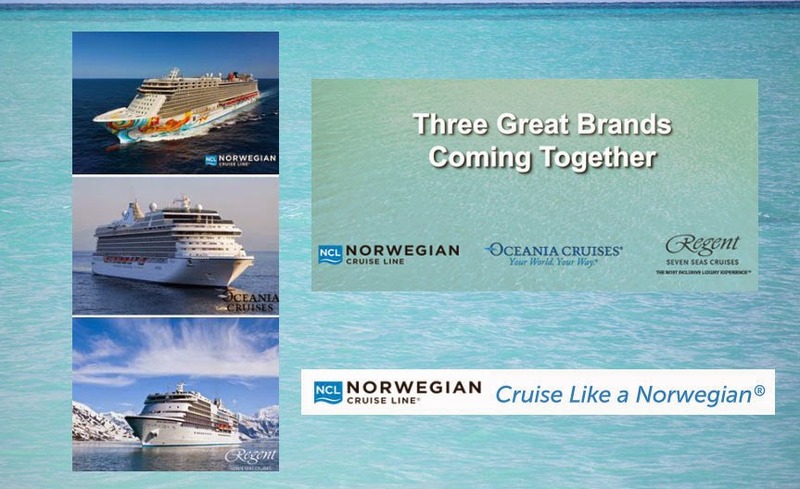 Using these three brands as an example customers going on their first cruises would typically start out on Norwegian. As they mature and have families, Norwegian would still most likely be a fit. As the kids get older, couples may want to cruise on their own and have a more upscale experience. Oceania could be the cruise line of choice for those guests. 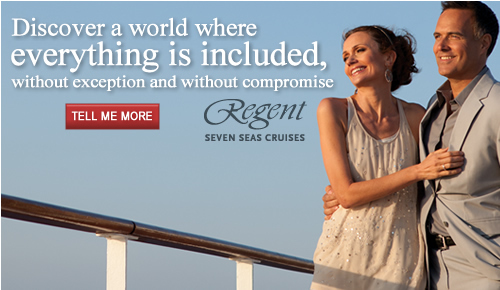 Later in life, Regent, with their all-inclusive experience, might become the preferred cruise line. There should not be a need to go outside this new family of cruise lines to meet goals of any specific cruise vacation. (There could be exceptions to that, such as river cruising). There were questions about the loyalty programs as you might expect. It is too early to determine what changes, if any would be made. As travel partners and guests, the hope is that loyalty will be rewarded, while still preserving the individual benefits for the given brand within the family of brands. This deal has a life-cycle as well, and all we can do is wait and see. We've been invited to the wedding feast and anxiously await the day of the event. We all wish the partners well in their new journey together. After all, it is in everyone's interest that this new "marriage" live long and be prosperous. We expect more announcements in the months ahead and we will bring you updates as appropriate. Congratulations to the entire Norwegian and Prestige Cruises family - we wish you well. You might recall the major air traffic woes in 2010 and 2011 across Europe when ash from erupting volcanoes in Iceland grounded or diverted airlines. This had a ripple effect on the travel industry, including the cruise segment. When the Bardarbunga Volcano eruption over the weekend created lava fountains more than 50m (165ft) high, the Met Office in Iceland raised its ash warning for aviation to red, the highest level. The level was later reduced to the second highest, orange. Because of the current seismic activity in nortwestern Vatnajökull, IMO has been allowed to publish the chapter Bárðarbunga System, an extract from a much larger work in progress. Nine Volcanic Ash Advisory Centres (VAAC) around the world are responsible for advising international aviation of the location and movement of clouds of volcanic ash. More information from NOAA about volcanoes. The London VAAC is an International Civil Aviation Organization (ICAO) designated centre, responsible for issuing advisories for volcanic eruptions originating in Iceland and the north-eastern corner of the North Atlantic. Cambridge scientists and PhD students are at the forefront of monitoring the activity of the Bárðarbunga volcano in Iceland. Watch some amazing footage of the lava flows of the two active volcanic eruptions in Iceland. 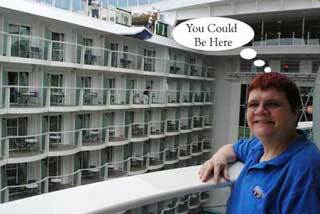 We missed the "live" tweeting on #travelpics because we were on a Seminar at Sea on board Carnival Breeze. We still wanted to share our responses, so pardon the late entries. (3:00) Intros: Please introduce yourself and tell us where you’re tweeting from today! (3:05) Q1: Home or abroad, where is your favorite place to spend your summer? Why? Seeing the world by cruise ship is one of the easiest ways to get around. You embark your ship and unpack and each day you are either somewhere at sea or in a new port of call. This cruise took us from Miami, Florida to Key West, Grand Cayman, and Cozumel, Mexico before returning to home port of Miami. (3:10) Q2: Share a photo from your most recent quintessential summer vacation. I guess we can't be more recent than the vacation in progress during this #travelpics chat. Truth be told, it was a mix of business and pleasure, but our trips always are that way since we are constantly learning and gathering images and information to share with our followers. 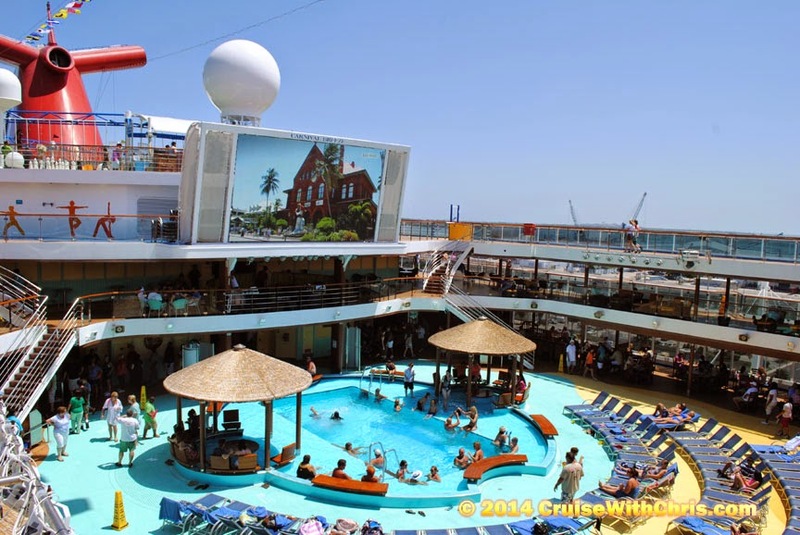 In this image, you see the Carnival Breeze main pool area on Lido deck. It's not far form there to your favorite meal venue, such as Guy's Burger Joint. The perfect ingredients of sun, shade, water, and plenty of places to simply relax can be found around the pool area. Top that off with perfect weather, and it doesn't get much better than this. (3:20) Q3: BESIDES swimming at the beach, what do you think of when you picture summer? Favorite activities? At home we've been known to take a summer vacation that includes some time at a water park or two. 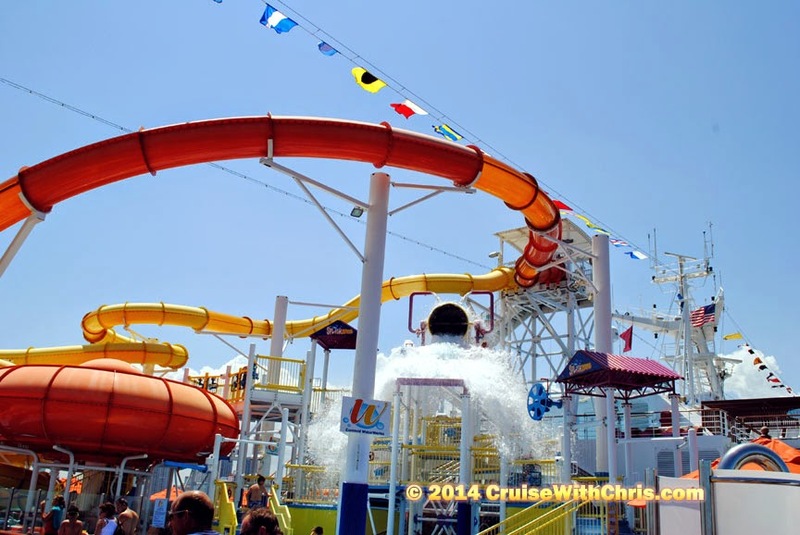 +Carnival Breeze's Water Works is a great place to splash around. 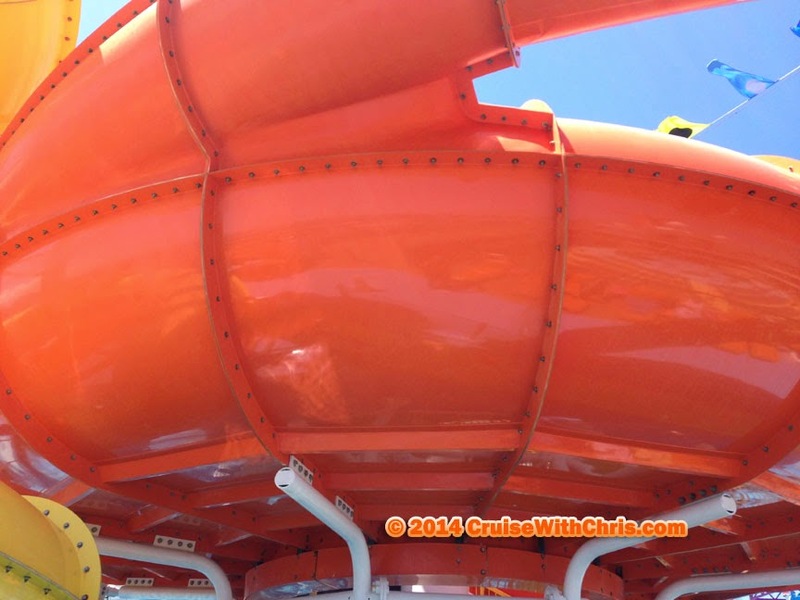 I opted for the slightly slower orange tube which dumps you into the "drain" at the bottom of the slide. (3:30) Q4: Show a summer photo of yours that ISN’T sand, surf, or sunglasses. This definitely doesn't include sand or surf, but since it was bright, but glasses did automatically darken. Here I am waiting for the people ahead of me to clear this next section of the rope course. It took some figuring out at first, but once I got the hang of it, the rest was "easy". (3:40) Q5: What is the most unique place you’ve ever spent your summer? 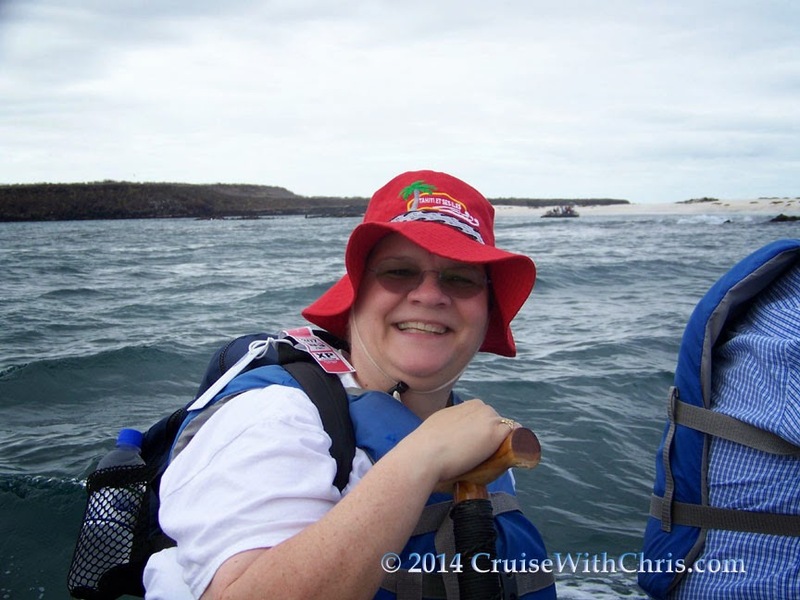 We explored this Land Beyond Xpectations via Celebrity Xpedition. Here you'll see species that can be found nowhere else on earth. You can snorkel with turtles, sea lions, and other marine line. Walk along paths where Darwin explored over a hundred years ago before writing his famous publication. (3:50) Q6: From hiking to wildflowers, show off your favorite view of summer anywhere in the world! We traveled by zodiac from Celebrity Xpedition to this landing site in Urbina Bay. You can't tell from the picture, but it is one of the more difficult wet landing sites on our trip due to the inclination of the beach. After landing on the beach we went on a short hike in search of Giant Land Tortoises and Land Iguanas before returning to spend some time snorkeling and swimming in the bay. This concludes our #travelpics chat about #Summer. 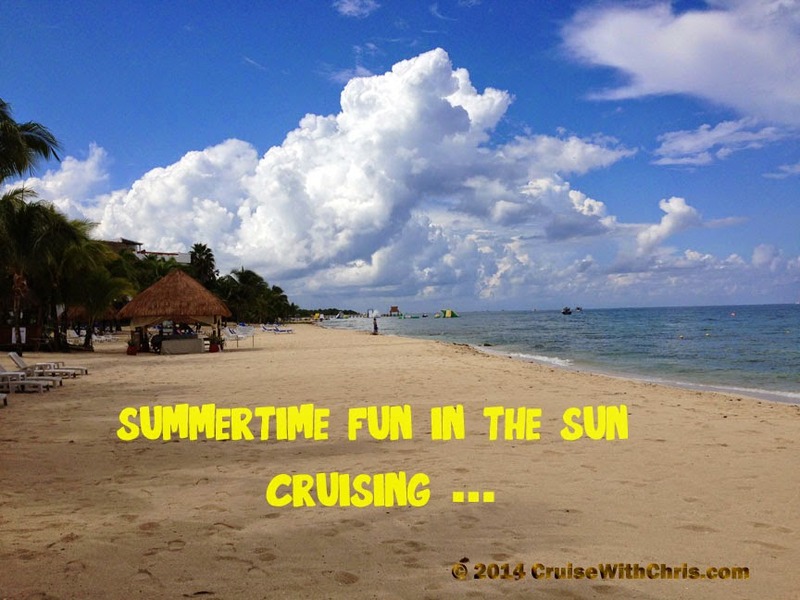 We'd be happy to share other images from our summertime cruising adventures if it helps you plan your escape. This final image was captured in Cozumel at Secrets Aura Resort. We spent the entire day there relaxing, swimming, and enjoying a fabulous fresh fish lunch. We'll write more about our day there in future posts, as well as the rest of our trip, so be sure to follow our blog. Join us for #travelpics on Monday's at 3 PM ET every week for a fun-filled hour related to travel and photography. Follow us on Twitter: @ChrisPappinMCC Pinterest: CruiseWithChris Pappin and Facebook: CruiseWithChris Pappin Cruises Inc for more ideas. Boys and Girls, Moms and Dads, the Cruise Director and Staff all met at the Liquid Nightclub lounge (deck 5 aft) on Carnival Breeze last Monday at 4 PM in hopes of finding the Cat in the Hat. They searched from the lounge all the way to the Ovation Theater (deck 3 forward). They went down the hallway on deck 5 to the stairway and followed the winding staircase down two decks below. Still they had not found the Cat in the Hat. Oh my, what to do now ... They continued their quest onto the stage in the Ovation Theater. 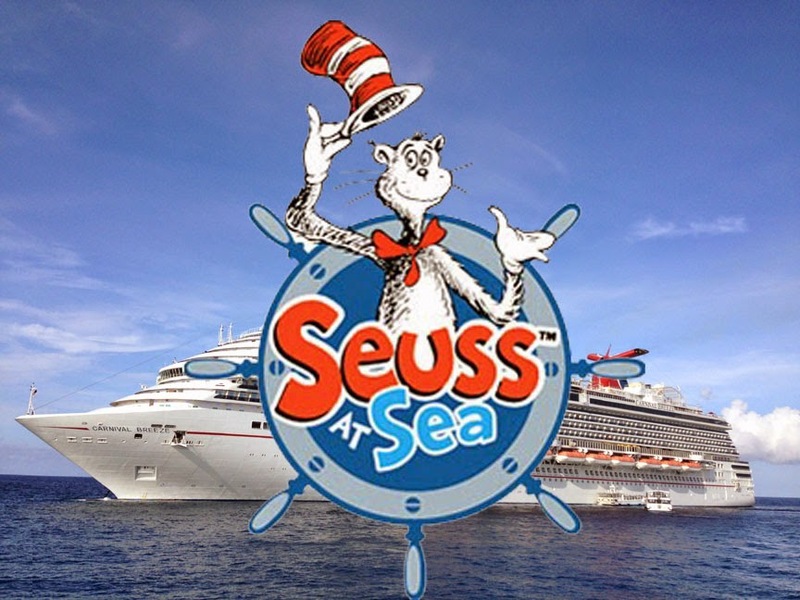 Late last year, Carnival Cruise Lines unveiled an exclusive partnership with Dr. Seuss Enterprises, L.P. to bring the beloved children’s brand to the lines fleet of 24 ships. In an industry first, the Carnival Seuss at Sea program will offer a variety of exciting and immersive on board youth, family, dining and entertainment experiences featuring the beloved characters and words of Dr. Seuss. Our youth and family programming continues to be highly rated and extremely popular with the millions of families who sail with Carnival, but we’re constantly challenging ourselves to uncover unique and interesting ways to further enhance our guest experience,” said Mark Tamis, senior vice president of guest operations for Carnival Cruise Lines. “We are thrilled to bring the fun, whimsical and wonderful world of Dr. Seuss to life for our guests of all ages to create even more fun and memorable moments during our cruise vacations"
Roll-out of the Seuss at Sea program will begin aboard Carnival Splendor in March 2014 with implementation across the full fleet by 2015, as well as Carnival Vista when that ship enters service in early 2016. This Experience Is Available On: Carnival Breeze, Carnival Dream, Carnival Freedom, Carnival Magic, Carnival Splendor and Carnival Sunshine. 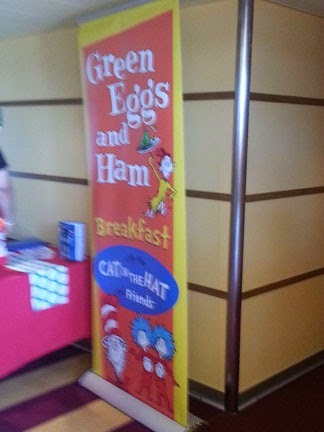 Images courtesy of Carnival Cruise Lines in partnership with Dr. Seuss Enterprises, L.P.
We applaud the two companies for partnering to expand the youth programs across the Carnival fleet.